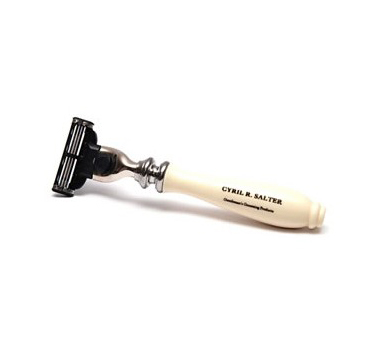 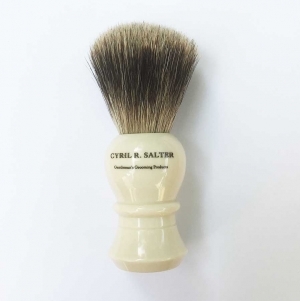 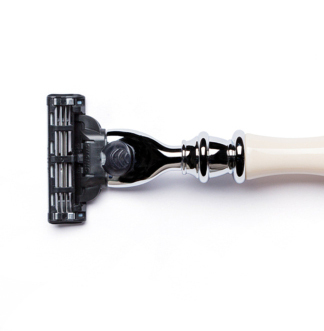 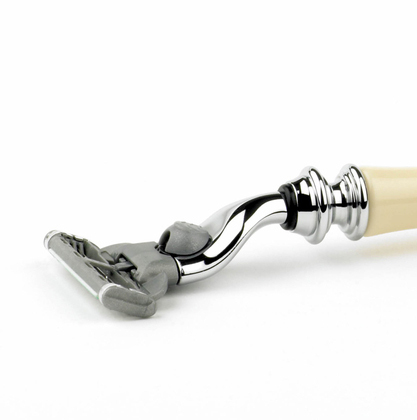 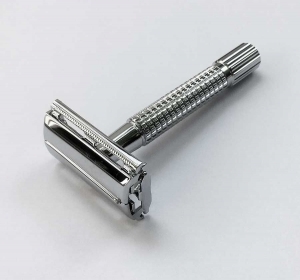 For those not quite ready for the switch to a safety razor, yet refuse to have ugly modern grooming devices cluttering up their immaculate bathrooms, the Cyril Salter Mach 3 handle offers a happy compromise. 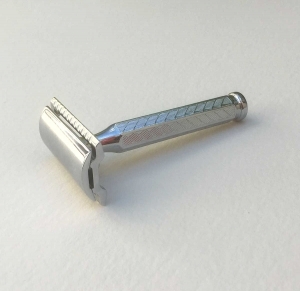 The sleek handle is styled like a traditional razor from the early 20th century, yet its head is adapted perfectly to fit Gillette Mach 3 Razor cartridges. 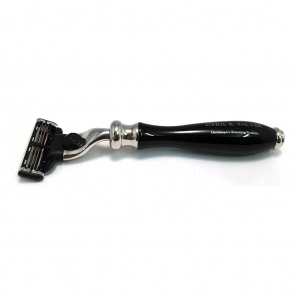 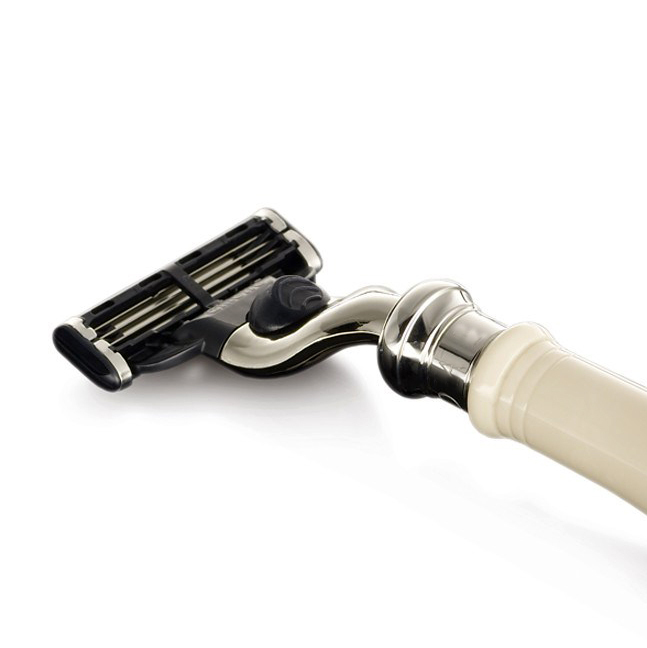 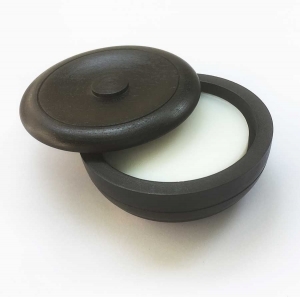 The handle will last a good many years longer than the ones made by Gillette and it comes in stylish black or classic ivory.